Israel is also turning its back on Europe. 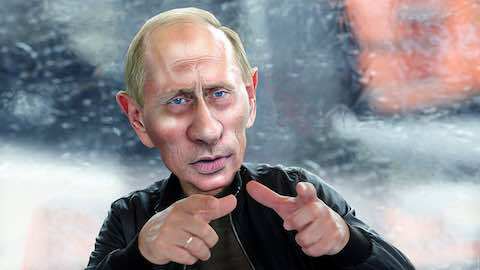 In fact, many Israeli politicians admire Russian President Vladimir Putin. Israeli politicians have made no secret of their admiration for Putin, a tough, ruthless leader whose resolve -- and preference for military solutions -- stands in sharp contrast to the caution and indecision of Barack Obama. Putin is also, in Israeli eyes, refreshingly indifferent to human rights. As relations with the Obama administration have cooled … Israel has increasingly turned to Russia, as well as to China, from which it now imports more than it does from the US. &ellips; Writing in 2003, at a time of high Euro-optimism, Tony Judt described Israel as a 'characteristically late 19th-century separatist project' in 'a world that has moved on, a world of individual rights, open frontiers and international law &ellips; Israel, in short, is an anachronism.' Today, it is Judt's cheerfully Hegelian description of 'a world that has moved on' that seems out of step with the neo-tribal spirit of the times. Israel does not seem like such an outlier in a world reshaped by the drive towards ethnic and religious separatism, the militarised policing of frontiers, and the emergence of authoritarian populist governments. "It's Not Only the U.S. That Israel Resents"